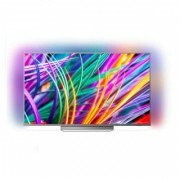 PHILIPS SMART Televizor 55PUS7303/12 LED, 55"
Upozorenje: cene, linkovi i specifikacije proizvoda za Philips 55PUS6482 su postavile naše listane online prodavnice. Molimo obavestite nas ukoliko naiđete na neku grešku. 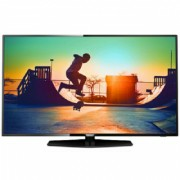 Pronađite najbolju ponudu za Philips 55PUS6482 (Televizor LED, Dijagonala ekrana 55 inch (140 cm), Rezolucija 3840x2160 pixela) na portalu ShopMania. Možete kupovati Philips 55PUS6482 u stotinama pouzdanih online prodavnica koje isporučuju na teritoriji cele Srbije, po najboljim cenama za Philips 55PUS6482. Pročitajte komentare kupaca u našoj grupi, pogledajte slike Philips 55PUS6482 i informišite se o svim njihovim karakteristikama. Samo na portalu ShopMania se mogu pronaći najbolji popusti i rasprodaje upoređujući ponude kategorije televizori, i kupite po najnižim mogućim cenama Philips 55PUS 6482 televizor i hiljade drugih sličnih proizvoda. The 55 inch (140 cm) diagonal of this TV-set will let you enjoy your favorite sport events almost as if you were on the stadium, but the TV-set must be placed in large spaces, as small rooms are not recommended. Thanks to the LED technology, the Philips 55PUS6482 TV-set shows very clear images, excellent contrast and brightness, all with low energy consumption. 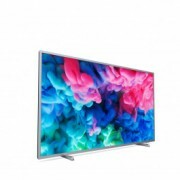 This TV-set, with 4K Ultra HD image format allows you to enjoy a superior quality of the TV broadcast, as the images are rendered very close to natural, and the general feeling is that of a cinema theatre. With such a TV, you feel as if you are watching the game from the stadium of your favorite team and you can see any detail with amazing clarity and detail.